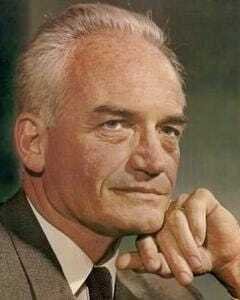 It must be rough to be a Goldwater Republican these days. One of the things that keep bothering me in these election days is what it must be like to be a classic small-government, fiscal responsibility, keep government out of my life Republican. Because that’s not the Republican Party that’s heading into an election on November 4th. That Republican Party is a no-abortion, Church is everything, government will regulate what you do in the bedroom party. So what do you do if you’re a classic Republican? Hold your nose and vote for the Jesus Brigade even though they’ve stolen your Party? Vote Libertarian? Not vote at all? Dare you even think the thought of voting Democrat? Oh, no, taxes! What do you do? If nothing else, what happens on November 4th will be an acid test for the Republicans—how many of you will be able to overlook corruption, incompetence, and Dark Ages-style Bible thumping in order to not put a Democrat in the Oval Office? Because the hard truth is that the Republican Party today has nothing to do with the values people like Barry Goldwater stood for. Today the Republican Party is an organization that longs for a 1950s that never existed, a time when White children lived innocent lives, when the Church gave you your values, rock’n’roll was the Devil’s music, and nobody was gay. So if you’re a Goldwater-style Republican, why do you let the Bible thumpers run away with your party? Why aren’t you fighting back and reclaiming the Republican party? Do you not see it? Do you not care? Or have the Goldwater-style Republicans died out?